Locations where you can donate unwanted items. Whether you live in a single-family home, an apartment building with 5-units and below OR an apartment building with 6-units or more, you are entitled to 2 free pickups per year. Contact Recology at (415) 330-1300 to schedule a pick-up. Residents must schedule a pick-up prior to placing items on the curbside. More pick-ups can be arranged at an additional cost. San Francisco's public reuse and recycling area (the SF dump) is open to all city residents and businesses. 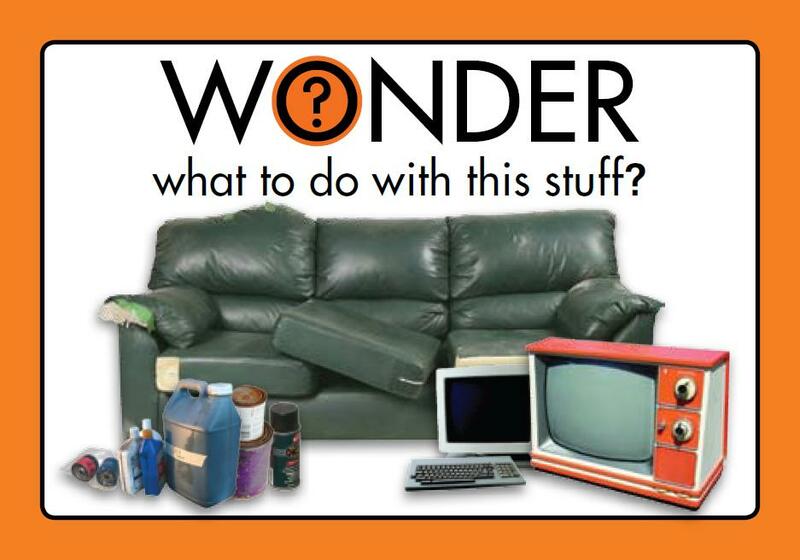 Electronics and non-hazardous materials can be dropped off Monday through Friday from 7 AM to 4:30 PM and Saturday and Sunday from 8 AM to 4:30 PM It is illegal to put hazardous waste in any landfill, recycling, or composting bin. San Francisco residents can drop off household hazardous waste from their own home at Recology's Household Hazardous Materials Facility with proof of San Francisco residency. This facility is open Thursday through Saturday only from 8 AM to 4 PM. Find out more information on dropping off hazardous materials. San Francisco property managers can drop off hazardous waste from maintaining their property or hazardous waste left by tenants through the VSQG Program. Restrictions and fees may apply. Call (415) 330-1425 for more information.